Women like to fish too. 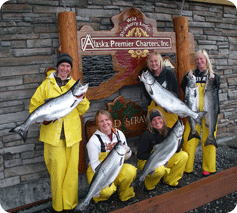 It is not a strictly male sport, and at Alaska Premier Charters, Inc. in Sitka, Alaska, women are always warmly welcomed. All fishing trips are female-friendly, because Theresa—the [female] owner of the Alaska fishing lodge—pays close attention to every detail. 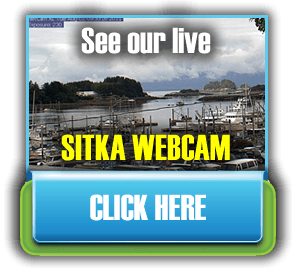 As a female, she knows what extra-special touches a fishing trip needs to properly accommodate ladies who come fishing in Sitka. All of the boats have fully private heads with real flush toilets and curtains covering the windows. You can sit in comfort on the padded seating inside the heated boat cabins. Food sanitation is strictly enforced; when the captain or deckhand makes deli lunches on the boat, they are required to wear clean latex gloves. Rain gear comes in smaller sizes, starting at extra-small bib bottoms and hooded tops, and rubber boots starting at size four. Free laundry facilities are available, so you can always feel dressed in fresh, clean clothing. You can also buy Wild Strawberry Lodge apparel (fashion statement) on-site. 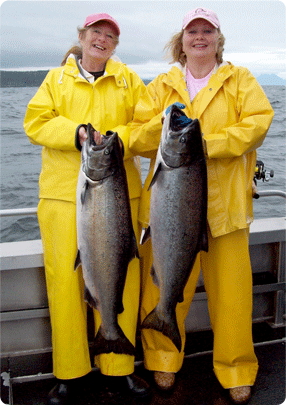 Many ladies are at different comfort and skill levels when it comes to fishing, and we can accommodate them all. If you already know how to mooch for salmon, we will hand you a rod and you can fish to your heart’s content. If you need extra help, we will assist you as much as you need. Should a fish be particularly big or strong and you need a hand reeling it in, we will be right there for you. 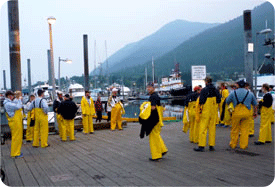 The captains and deckhands are always friendly and patient, and willing to show guests how to fish. They will never look down on you or make you feel bad because you are not familiar with our fishing techniques. When you get in from fishing, you will have time to shower and relax before dinner, and there will be freshly-made appetizers for you to snack on while you wait. The bedrooms all have private bathrooms, and everything is cleaned daily, to very high standards. 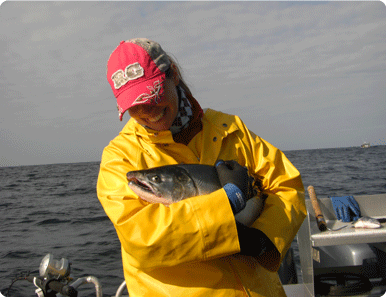 Theresa prides herself on catering to women’s needs, and offering genuine Alaskan hospitality. She will be happy to answer any questions you may have, as well as sit and visit with you in the evenings after dinner. 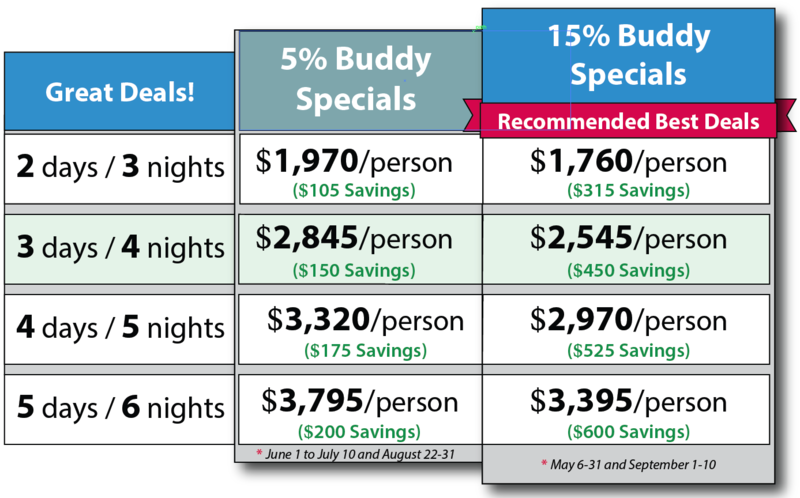 If you want the most amazing all-inclusive fishing trip for women at the best price, you have come to the right place. 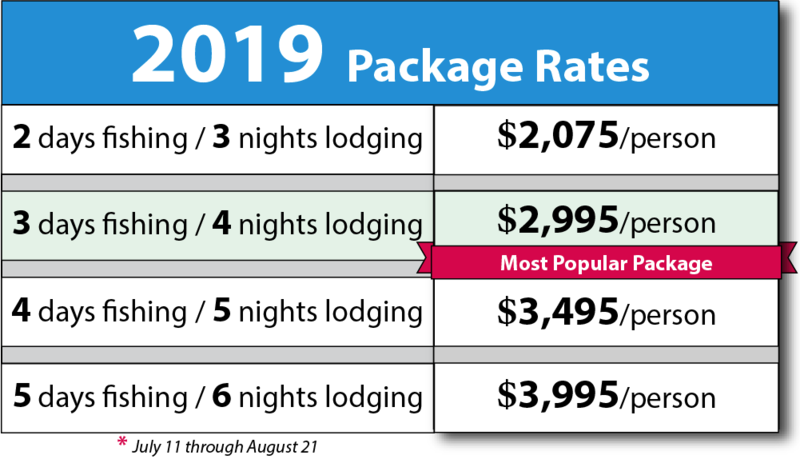 We offer a complete Alaskan fishing package to ensure that your vacation and fishing experience is completely hassle-free so all you have to do is enjoy yourself! Expect to eat well, expect awesome fishing and comfortable lodging, and expect to enjoy yourself immensely. There will be no hidden costs or charges. With over 28 years of experience, we have an excellent reputation and will provide you with the absolute best fishing vacation every time.